← [Notre-Dame-des-Landes/Besançon] ZAD vaincra ! ZAD vivra ! Renouvellement de la législation du travail du pays préparé par l’Union des industriels et entrepreneurs : annulation de la journée de travail de 8 heures et semaine de travail portée à 60 heures, droit à l’usage illimité des contrats de travail à durée déterminée, légalisation des agences de sous-traitance interne, réduction des garanties juridiques pour les femmes enceintes, annulation de la majoration obligatoire des salaires dans l’extrême Nord et beaucoup d’autres. Russia’s Labor Confederation has complained to law enforcers saying that the current concept of renewal of the country’s labor laws, prepared by the Union of Industrialists and Entrepreneurs, is anti-constitutional. 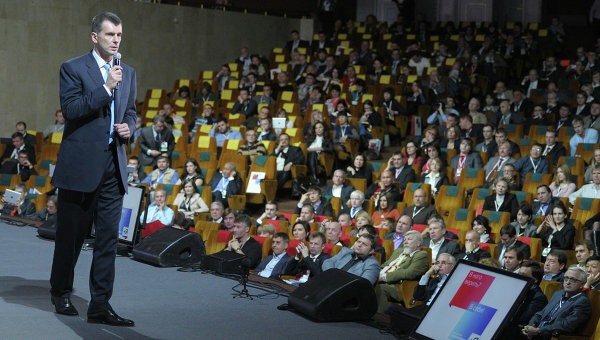 The All-Russian trade union confederation addressed the Prosecutor General’s office with an official letter saying that the concept drafted by the entrepreneurs directly contradicts article 7 of the Constitution that defines the Russian Federation as a social state with policy aimed at creating conditions for the people’s decent living and free development. The Union leaders claim the illegal issues in the draft include the cancellation of the 8-hour workday, legalization of unlimited use of fixed-term work contracts, legalization of internal outsourcing agencies and serious reduction of legal guarantees to pregnant women, cancellation of obligatory wage rise in the extreme North and many more. If the suggested amendments come into force it would surely cause sharp confrontation in society, the union leaders conclude. Thus, the confederation asked the prosecutors to probe the concept under the Federal Law on Extremism. If the investigation shows the document really includes material that could incite hatred between social groups the prosecutors should take measures that could include suspending the activities of the Union of Industrialists’ and Entrepreneurs. The concept of the radical changes to the Labor Code was approved by the Union in late August and members of the body said that it was prepared on the basis of suggestions drafted by billionaire businessman and wannabe politician Mikhail Prokhorov. Entrepreneurs hold that Russia’s current labor code is obsolete and works only for large scale enterprises in the traditional economy and those rapidly developing new companies need something very different. Besides, the old code leaves the economy unprepared to shocks like the economic crisis of 2008-2009 they say. The authors of the concept say that the businessman must be given more freedom to fire and hire employees to make the economy more stable in times of crisis. The initiative was not welcomed by the general public and by the trade unions, especially the suggested raising of the maximum working hours to 60 in a week instead of 40 as provided by international norms and agreements. However, the state officials have repeatedly noted that apart from the criticism the unions should submit their own suggestions on the document or the government and the parliament will have to work with the existing draft, however faulty it is. This entry was posted in Les luttes de classes en Russie and tagged Mikhail Prokhorov. Bookmark the permalink.